What's $20 worth in Sydney these days? 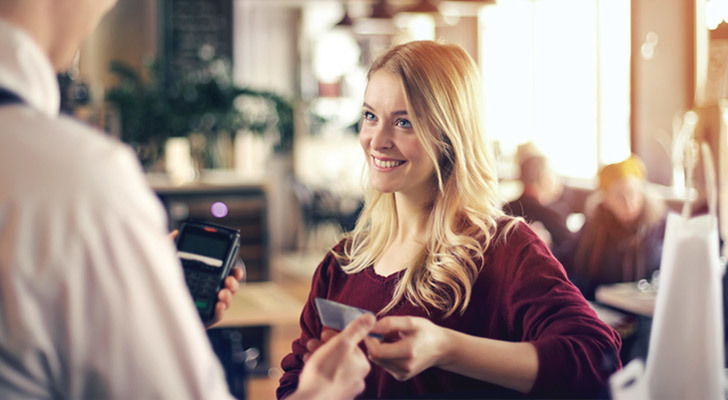 If you're looking for a good feed at least, a humble $20 note will actually get you pretty far. From Bondi to Barangaroo, Sydney's sprawl is dotted with foodie gems that won't cost you the earth. 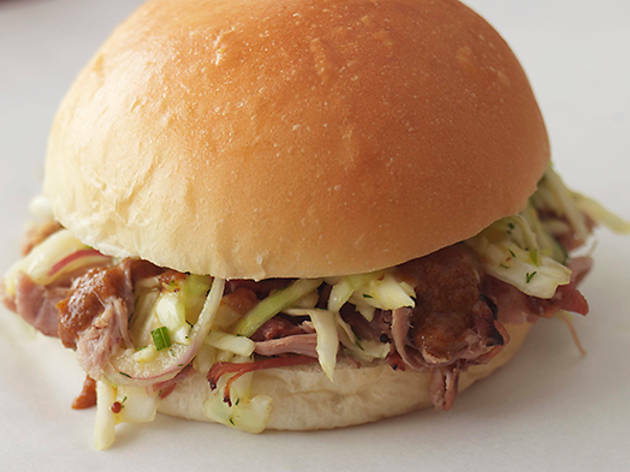 Grab your wallet and your comfy pants and tuck into our must-try dishes for $20 or less. 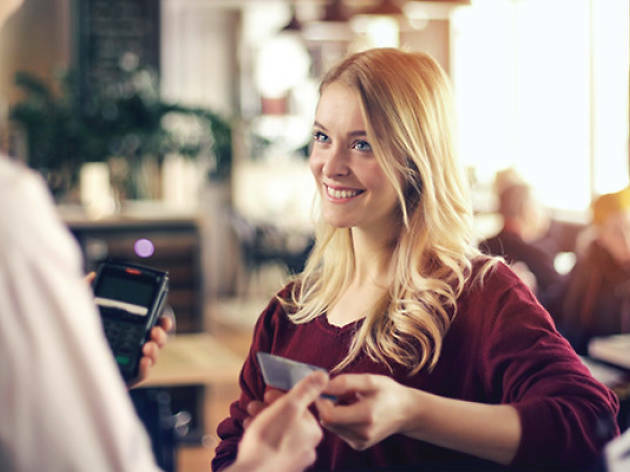 And when it comes to the bill, you can pay with confidence knowing these venues take American Express. 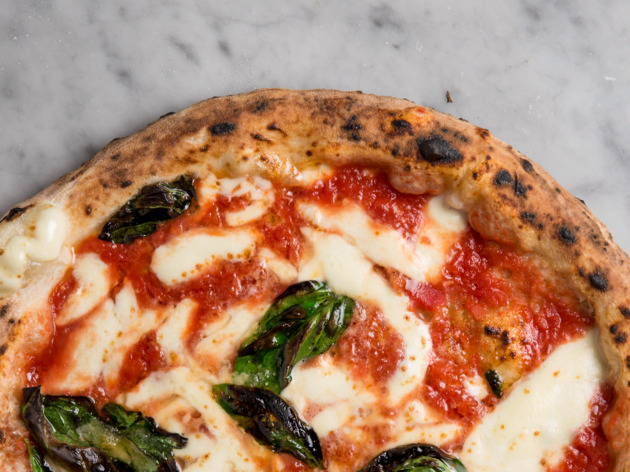 This Naples-style pizzeria is happily chaotic no matter when you go, filled with couples, families and hungry football teams. 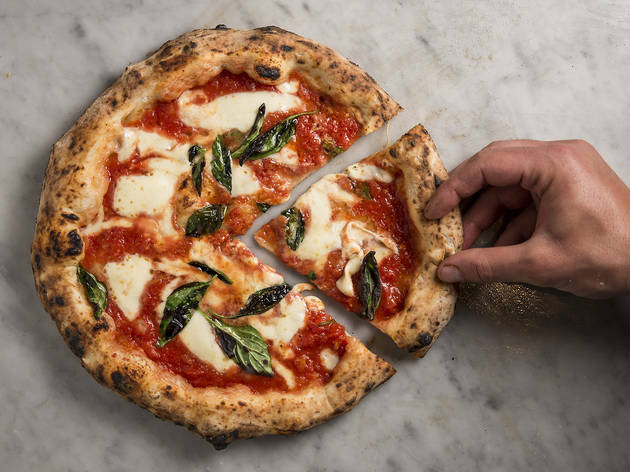 The Margherita comes bubbling with molten cheese and a charred and smoky base courtesy of the 90-second blast in the 485°C domed wood-fired oven. 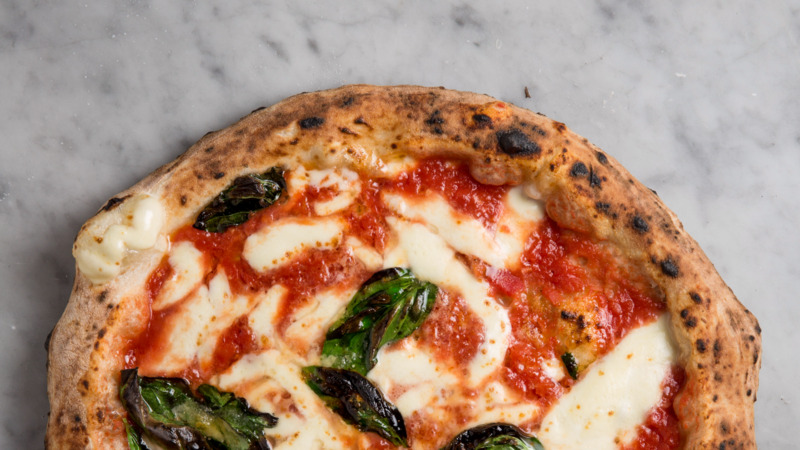 Also, they are all about keeping to tradition, using Neapolitan caputo flour for the dough, San Marzano tomatoes for the sauce and imported buffalo mozzarella for the topping. After finishing what will probably be one of the most fiery and outstanding Thai meals you’ve had in a long time, you’ll be well deserving of some reprieve from the heat. 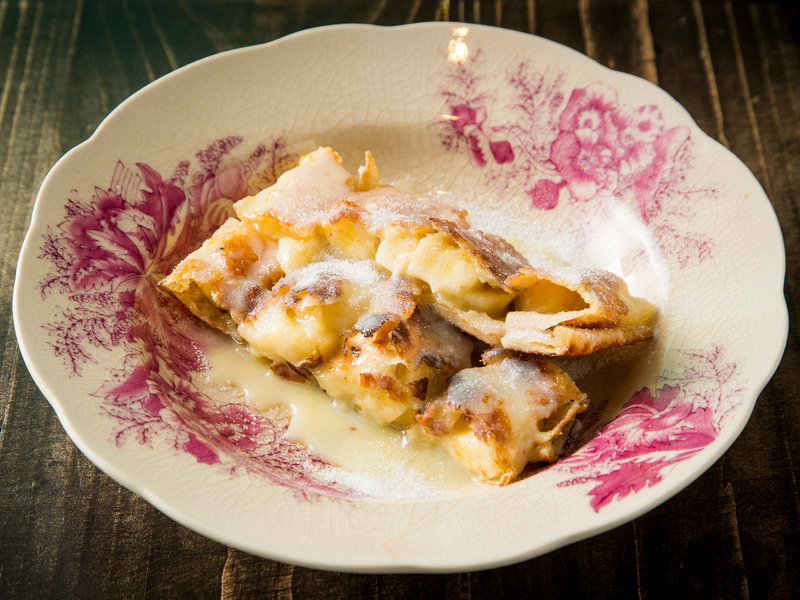 Do it with a sweet treat and order the banana roti. The crisp buttery flatbread sandwiches slices of warm baked banana, and comes doused in a sweet condensed milk sauce – it’s like a stellar stack of banana pancakes made for dinner time. This place is either everything you love about Bondi or everything you hate about it rolled into a one-stop shop. It’s a surf shop and café where you can buy a handplane for bodysurfing, or sit down for a poke bowl. 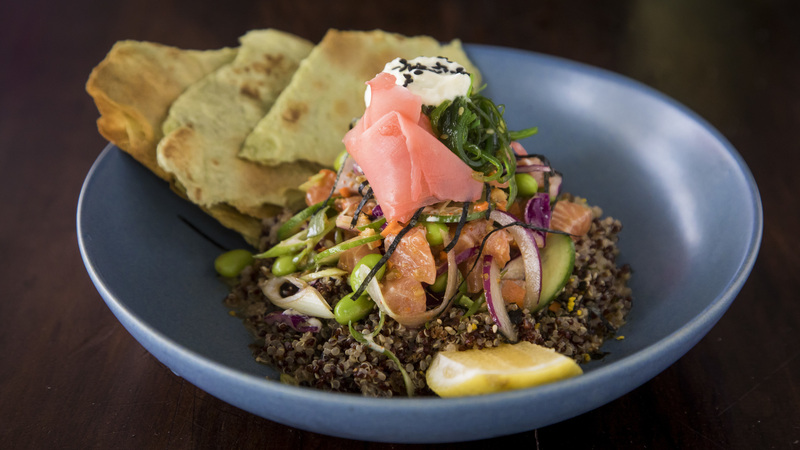 The Hawaiian fish salad sees raw salmon served on a bed of quinoa, mixed in with bright green soy beans, red and green onion, cucumber, red cabbage and a little seaweed salad. They dress the lot in a ponzu and sesame sauce that gives everything that extra fresh citrus-sweet kick, and while it doesn’t look huge, it’’s actually quite filling. 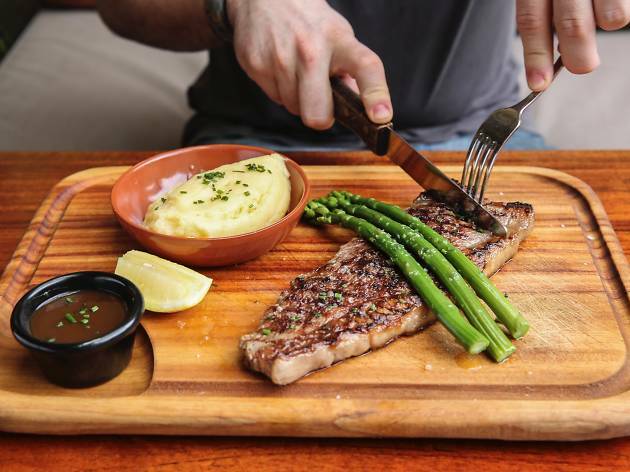 Alongside having one of the biggest craft beer collections in Surry Hills, Dove and Olive also do a great steak. Order the tender rump with blue cheese sauce and asparagus on top. As the cheese melts you get a bitey, savoury sauce that can be mopped up with another generous pile of fries. Not feeling like dairy with your meat? They will also do it with your classic red wine gravy, peppercorn or mushroom sauce. 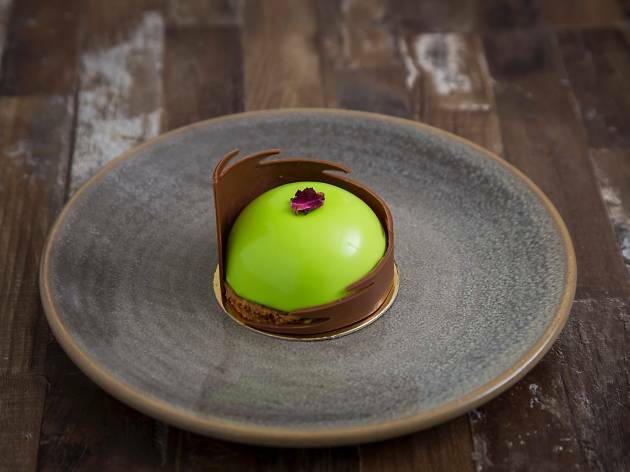 Former MasterChef cook Reynold Poernomo’s dessert hotspot plates hundreds of these delicate, summery citrus domes every day. Light-as-a-cloud mango mousse sits upon a crisp, buttery almond sable base, filled with a secret centre of yuzu curd. Its citrus zing perfectly balances the sweetness of the mousse. It’s all coated in a neon-green glaze and surrounded by a wave of tempered dark chocolate that is both unnecessary and totally complementary to the dessert. 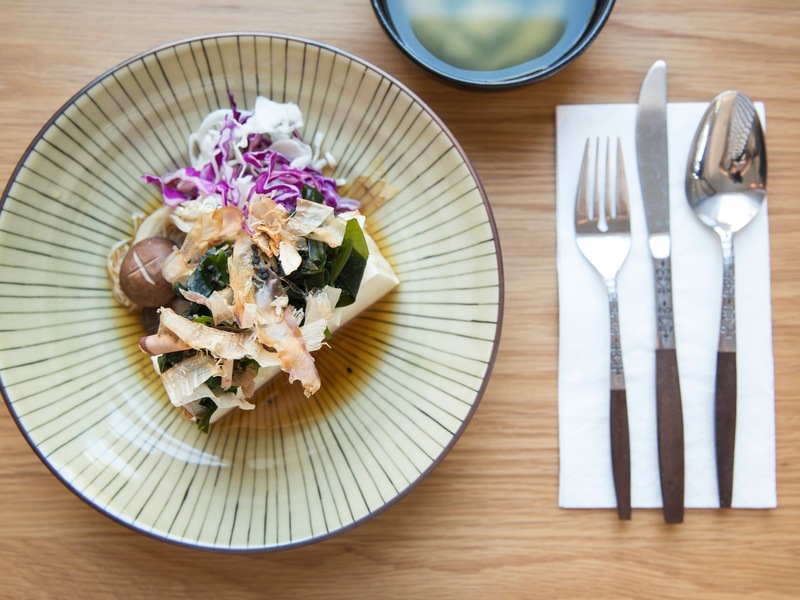 This corner café in Darlinghurst tiptoes between Nordic and Japanese influences, resulting in some of the most refined and interesting brunch dishes Sydney. Take the mushroom pond: a big earthenware bowl holds barely more than a trickle of rich, flavoursome mushroom consommé with soft, chewy, udon noodles dancing about within it. On top you'll get a selection of mushrooms, enoki, shimeji, oyster, and one big Portobello, braised and buttery in texture. Crowning the whole is a quenelle of crème fraîche or mushroom cream, depending on when you're in. We've had it both ways and it’s fair to say that the mushroom cream has the edge: all umami-dense, cool and silky. 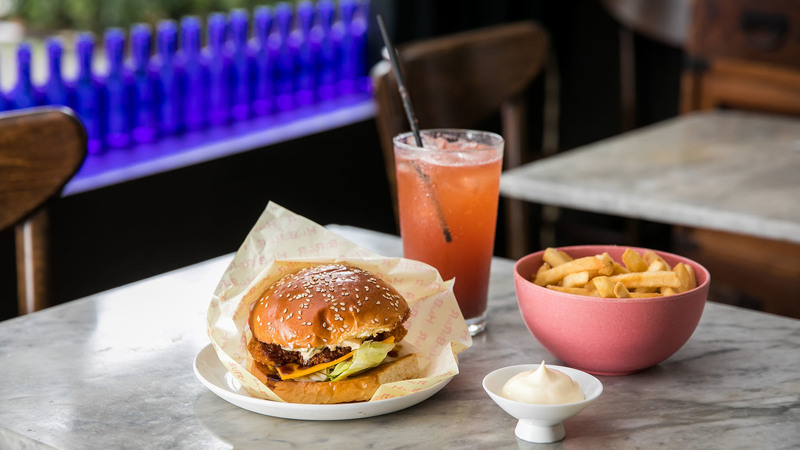 This ’90s-themed, diet-busting diner is all about smashing burgers, doughnuts and toasties to a soundtrack of Biggie and Tupac. 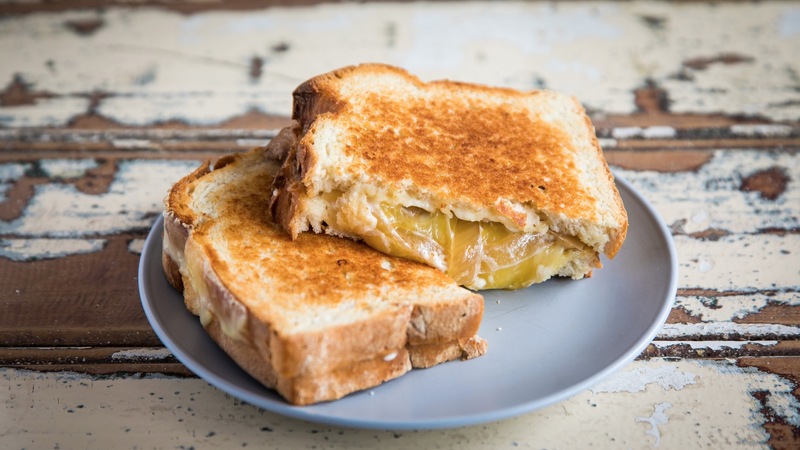 Mug Life’s three-cheese toastie is made with classic white bread and ‘glued’ together with melted layers of Gruyère, tasty and cheddar, sweetened by caramelised onions and riched up with truffle mayo. 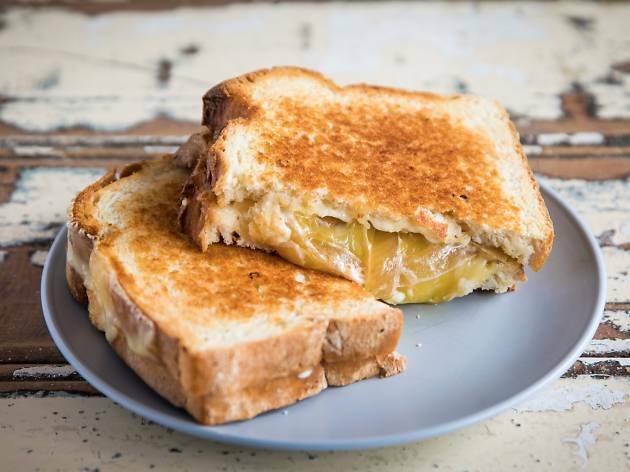 Since their all-day breakfast is available until 10pm, it’s an anytime food, and who doesn’t love an excellent cheese toastie? 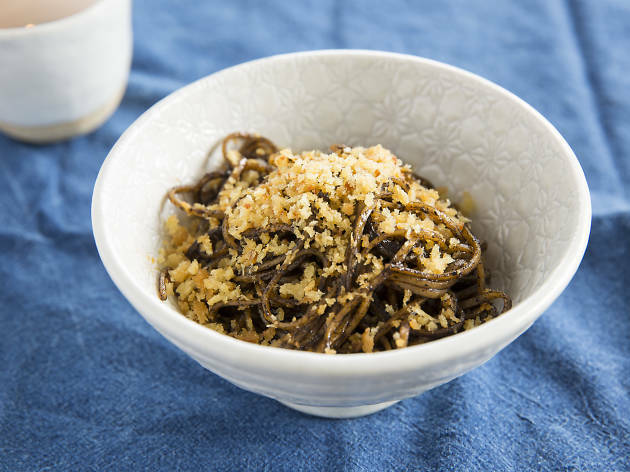 This Italo-Japanese joint on the fringe of Rushcutters Bay knows how to take a pasta dish and funk it up without losing sight of the original Italian idea. 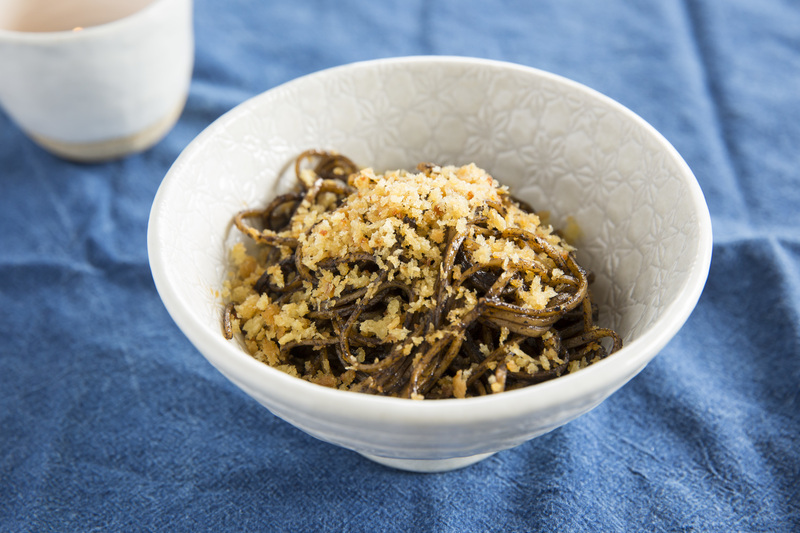 Example: a delicate blue ceramic bowl that holds a twirl of buttery linguine, which is coated in a paste of black garlic and charred chilli. The soft threads of linguine gain extra carb action with toasty panko bread crumbs, which also add a nice crunch. While the dish uses straightforward trio of warming flavours – smoky, toasted and charred – there’s a lightness to the delicate linguine that make this dish anything but boring. The Japanese bolognese here is simple, comforting and carby. 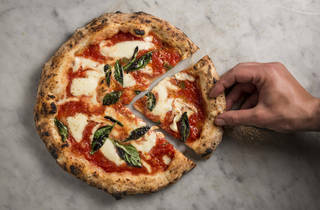 Unlike a lot of the dishes on this Potts Point eatery’s menu – which are built on delicate, fresh flavours – this comfort feed is all about delivering the Italian favourite with a Tokyo-inspired edge. 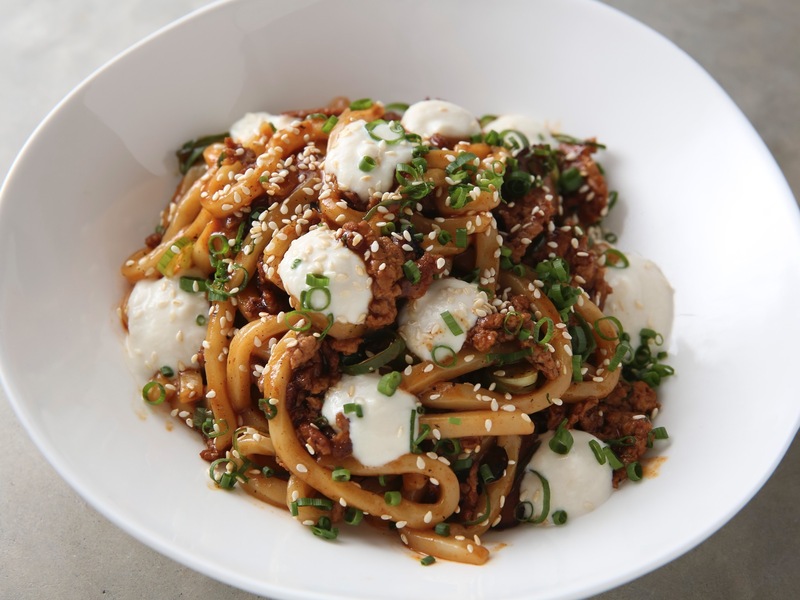 Thick, silky udon noodles give simple spaghetti a run for its money, while rich, ginger-flecked pork mince delivers the familiar textural foundation of the Italian staple. And forget parmesan – you’ll enjoy bright slices of spring onions and sesame seeds sprinkled on top instead. 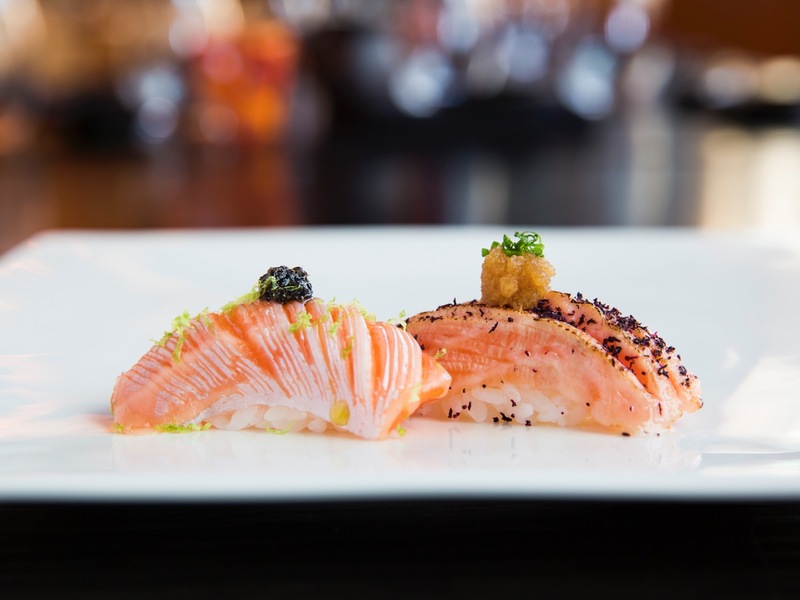 You'd be hard pressed to find a more texturally satisfying mouthful than the salmon belly aburi from the Star's glitzy sushi spot, Sokyo. The neat piece of nigiri is torched so the salmon is just cooked and a little smoky on top, while the underside of the pink flesh is rendered to a velvety texture. Add in ribbons of pickled butter yellow ginger, salty soy sauce and pops of salmon roe, and you’ll see why chef Chase Kojima is one of Sydney’s most respected sushi chefs. Despite cropping up at every other shopping centre, this Japanese chain maintains a high quality of service and consistency. They specialise in the tonkotsu broth base for ramen, which comes with a round of fatty simmered pork belly, bean sprouts and rich ground miso pork. 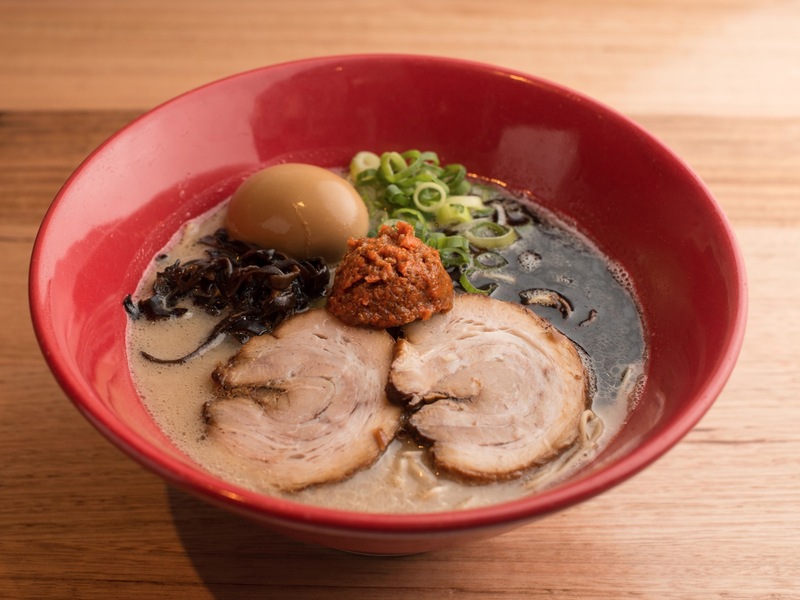 Wavy noodles (which you can order firm or soft) complement the unctuous, umami broth, which will convert you fast if you’re not already a tonkotsu fan. 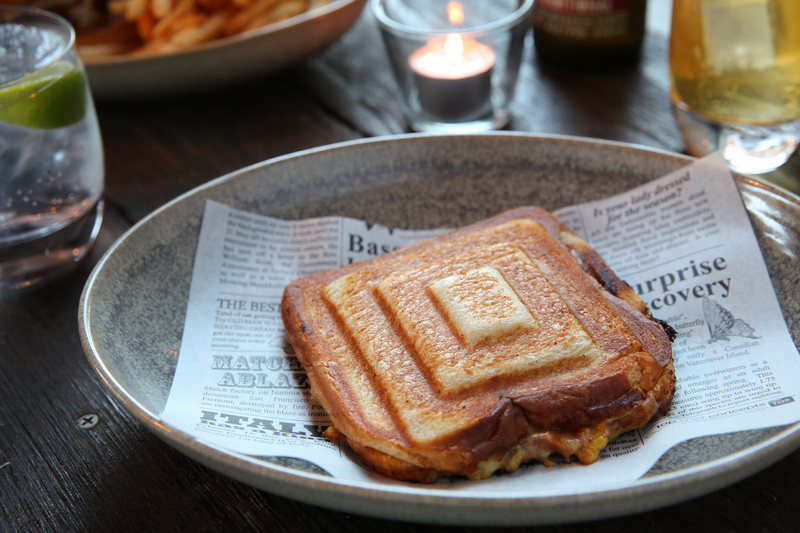 This Surry Hills eatery is doing one of the best hot sandwiches we’ve eaten in this city. The chicken thighs are wider than the sweet bun so that hot, juicy, crunchy bites stick out on all sides. The sweetness in the tonkatsu sauce is good, the subtle citrus in the yuzu mayo is even better, and they jam enough finely shredded cabbage and the right amount of raw onion to keep things feeling fresh, not fatty. 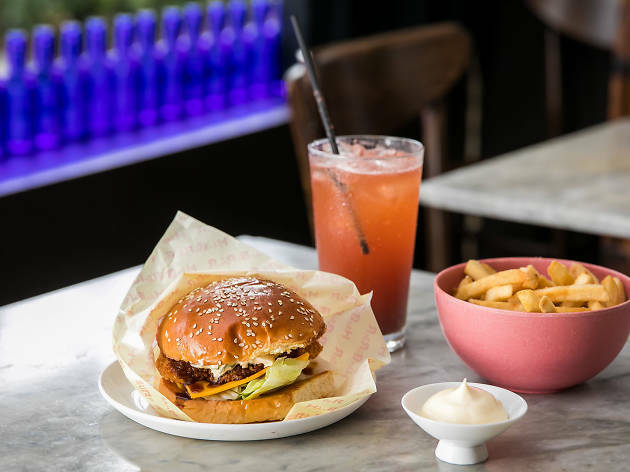 Located within one of the hippest buildings in Surry Hills (you’ll find Golden Age Cinema downstairs and the Paramount House Hotel upstairs), this bright café delivers a menu that manages to straddle America’s deep south and urban Japan. 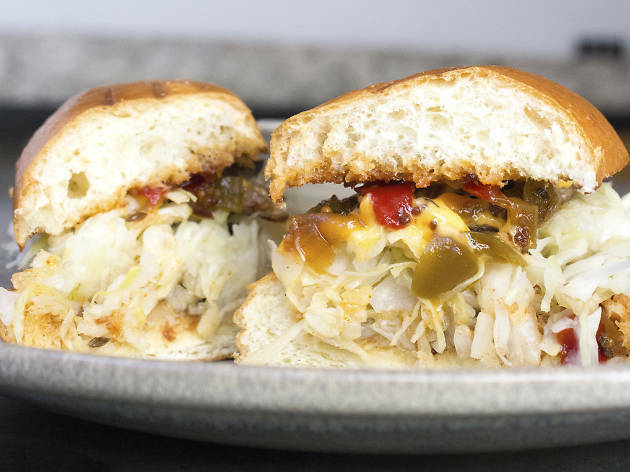 Go Dixie and order the melt-in-your-mouth brisket, which comes on a soft bap roll with shredded cabbage, braised green and red capsicum and sweet cheese sauce. Make sure you dunk it into the rich accompanying broth, which balances out the sweetness of the bun. They sell it as gravy, but it’s actually the hearty stock the brisket is slow cooked in. 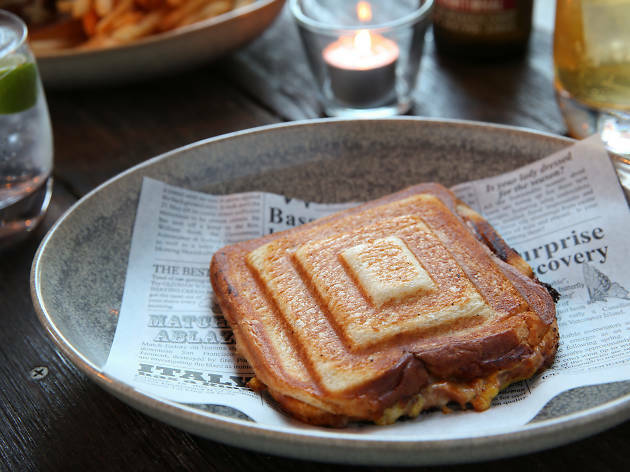 While excellent, boozy Margaritas are what put this locally loved Bondi bar on our radar, it’s the mini menu of late-night jaffles that keeps us coming back. 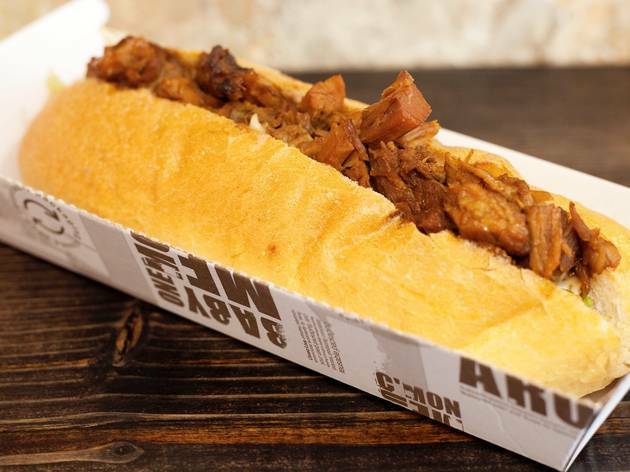 Take the Italian Job, which sees shreds of slow-cooked brisket encased by stringy, orange American jack cheddar cheese. 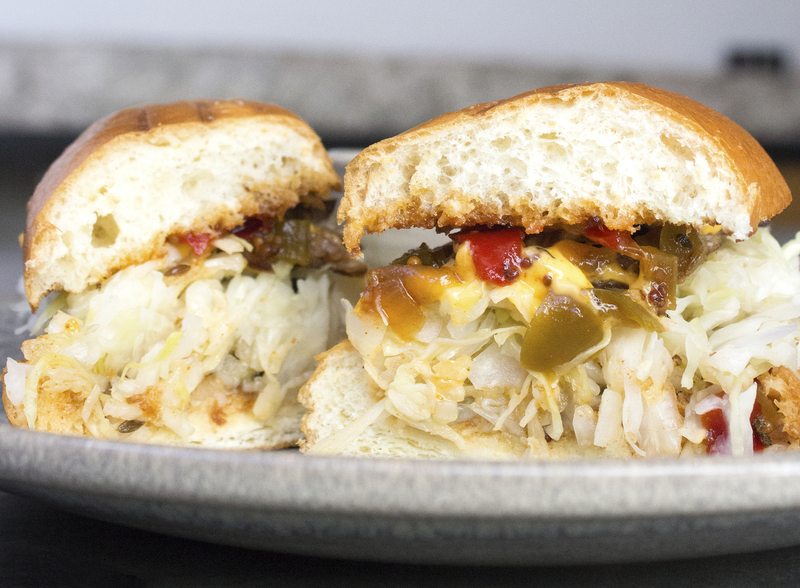 It ends up tasting a bit like a grown-up cheeseburger (and we're not complaining), but it’s messier to eat (still not complaining). 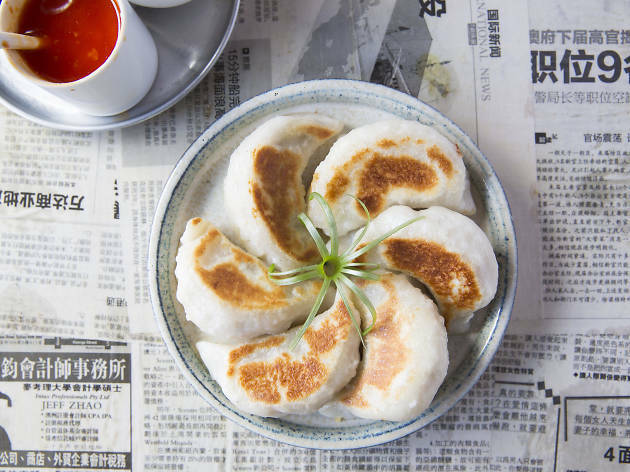 We aren’t kidding when we say this place is tiny – but what it lacks in size it makes up for with excellent little dim sum and ice cold brews. 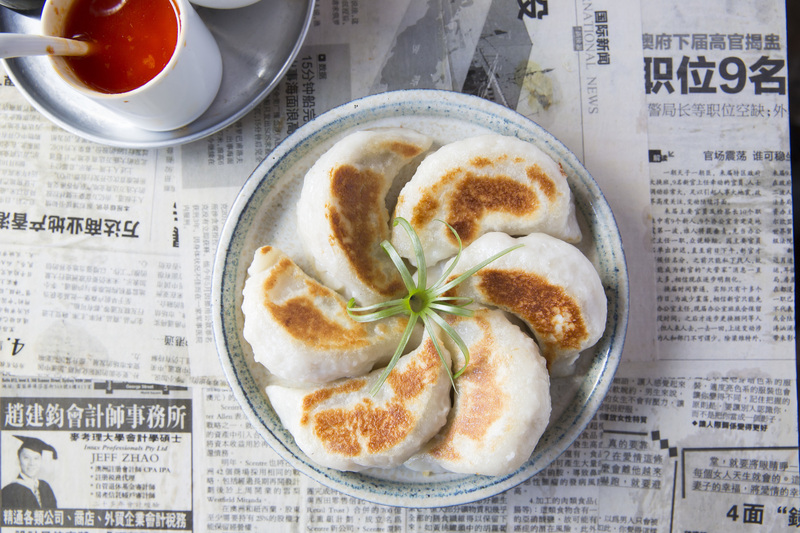 Here the pan-fried dumplings are fragrant with ginger – they’re slightly thicker and sweeter than your average porky pocket, with five served with crisp edges and a dense pork and cabbage filling. Want something a little more delicate? The steamed soupy xiao long bao are great too. Vic's Meat Market is broken into two sections. The first part is a massive, industrial-look refrigerated shop, with meat as far as the eye can see. The other is the smokehouse and grill, where the two-tonne smoker was custom built by Yoder Smokers in Kansas, USA. The brisket has a simple salt and pepper rub and has been slow cooked for 12 hours. 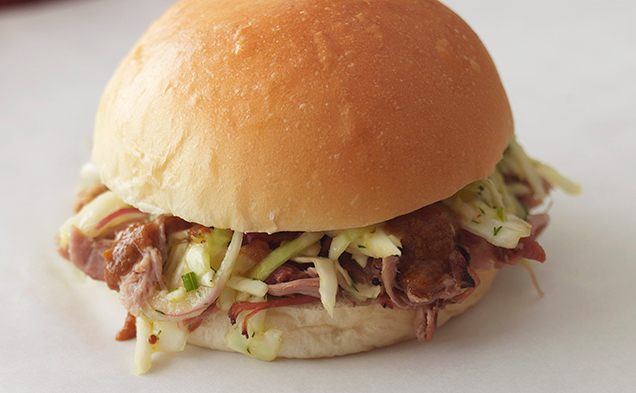 It comes on a soft bun with slaw and special sauce and the whole sandwich fairly melts on the palate. Tucked behind the Kensington Street laneway in Chippendale, the open-air courtyard Spice Alley is serving hawker-style dishes from across the globe. 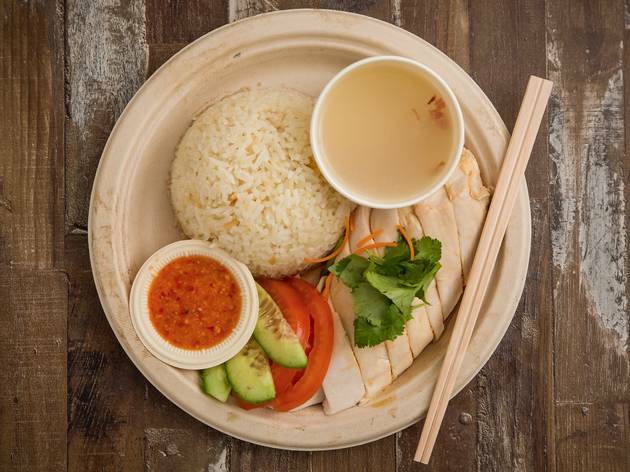 Adding spice to the mix is Alex Lee Kitchen, serving up authentic Singaporean dishes. 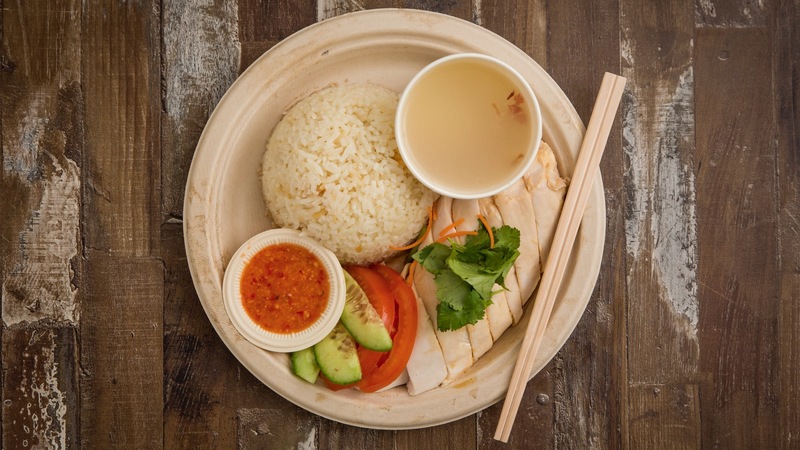 Our pick is the Chatterbox chicken rice: poached boneless chicken over chicken-flavoured rice with a fresh chicken soup, chilli, ginger and dark soy sauce. This Potts Point chicken shop (from the guys that brought you Mr Crackles) knows how to fry a bird. 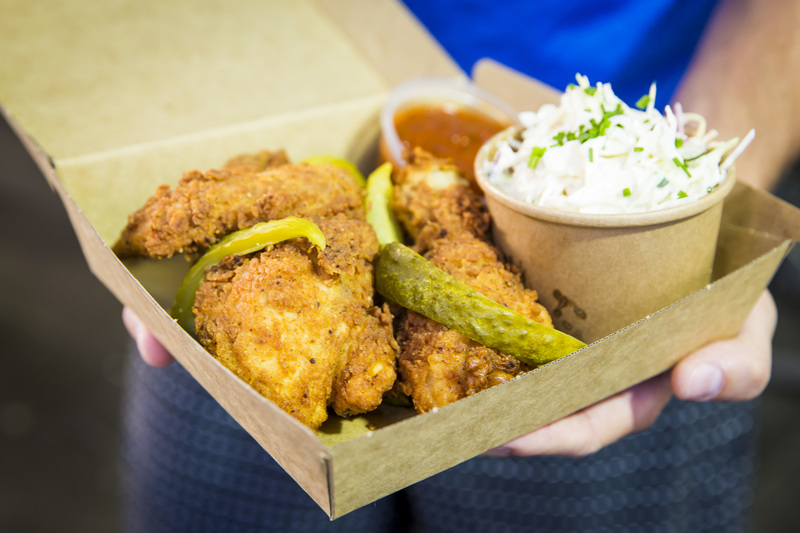 The Southern fried chicken meal deal comes with two pieces of fried chicken (the cuts are up to them) with some pickles, one side and one sauce. 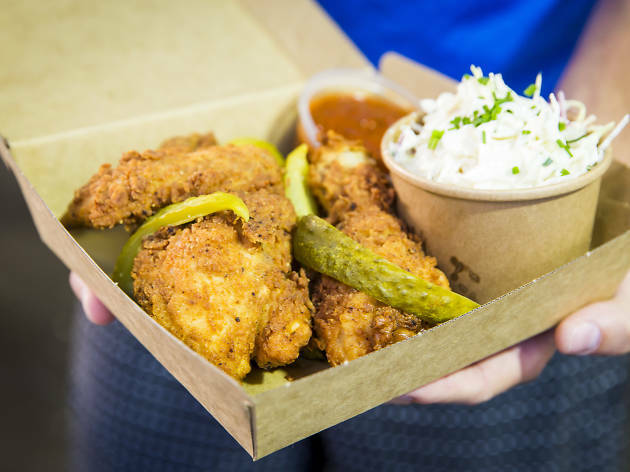 The chook’s coating is plentiful, dry and crisp without being greasy, and the meat within is tender and juicy. It's tenderness that only comes from meat that's spent a good, long sabbatical in brine (24 hours followed by an air-dry for a further 24 hours before battering, to be precise). You can smell the roasting pork all the way down Oxford Street. 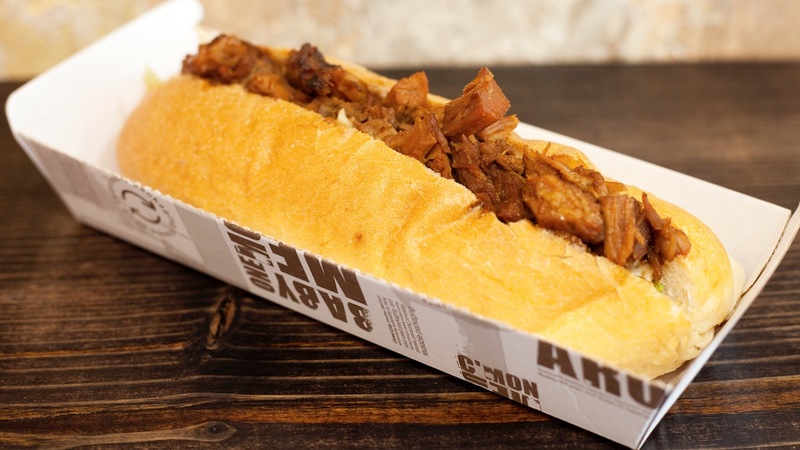 There are hot dogs, cheesy fries and salted crackling on offer, but we advise that you go straight for one of those roast pork rolls. It has crisp-skinned, slow-roasted, five-spiced pork belly served with Vietnamese salad in a roll. Simple, satisfying, succulent. 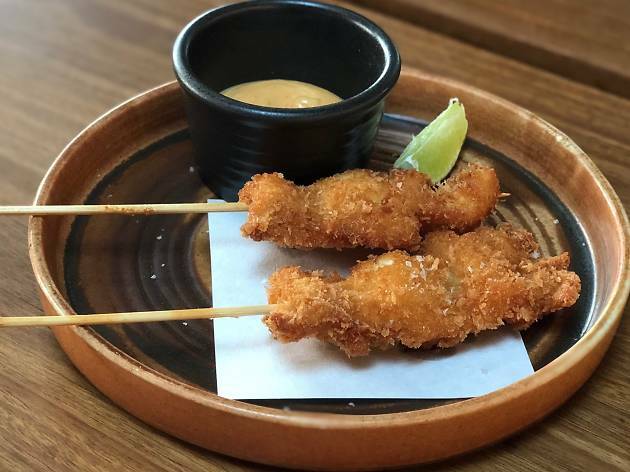 There’s a good chance you’ve had both chicken and pork katsu, but what about calamari katsu? 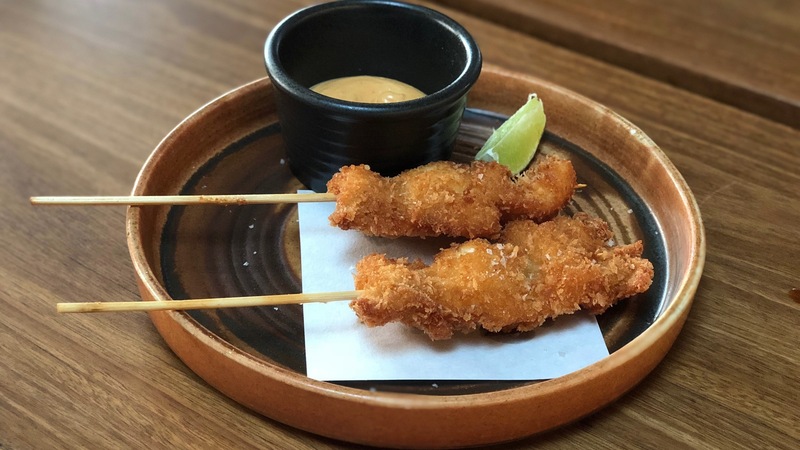 This waterfront Japanese diner does a cracker katsu crumbed squid – it comes skewered like a yakitori and the panko bread crumbs are fried a golden brown. 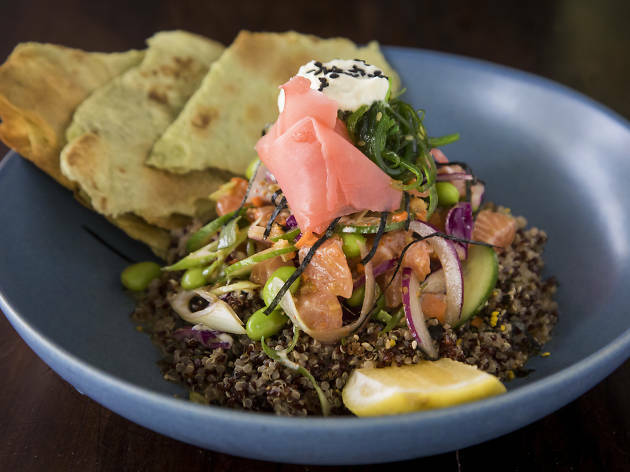 Order up a side of sashimi and you’ve got an excellent seafood repast on the cards.